Airport car parking at Riga International Airport is available from immediate effect through ParkCloud's extensive network of collaborators. Riga serves as a hub for Wizz Air, Ryanair and Latvian national carrier airBaltic, and is the largest airport in the Baltic states with direct flights to 80 destinations in 30 countries. Located in the Mārupe municipality, the airport is 6 miles west of Riga. ParkCloud is currently working in collaboration with Wizz Air, Ryanair and airBaltic, offering customers booking facilities for airport car parking on a dedicated site for each. 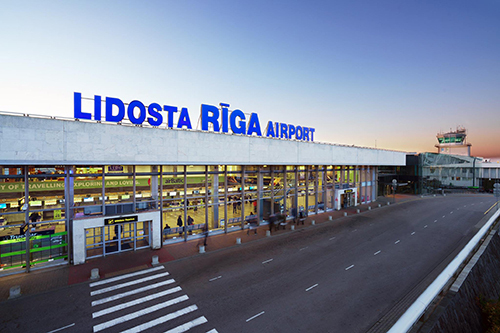 Powered by ParkCloud's reservation platform, the car park at Riga International Airport will be available on both Wizz Air and airBaltic's dedicated airport parking sites. This enables customers to book each part of their travel in advance – giving them peace of mind, whilst saving stress and money. The car park featured is the Long Stay P3. Situated within just a few minutes walking distance from the airport terminal, the car park is open 24 hours a day, 365 days a year. Customers can benefit from excellent prices at a convenient location, and know their vehicle is safe while they are away. ParkCloud is very pleased to welcome Riga International Airport as the first Latvian airport to join the ParkCloud network.